Calling all veterinary nursing degree students! 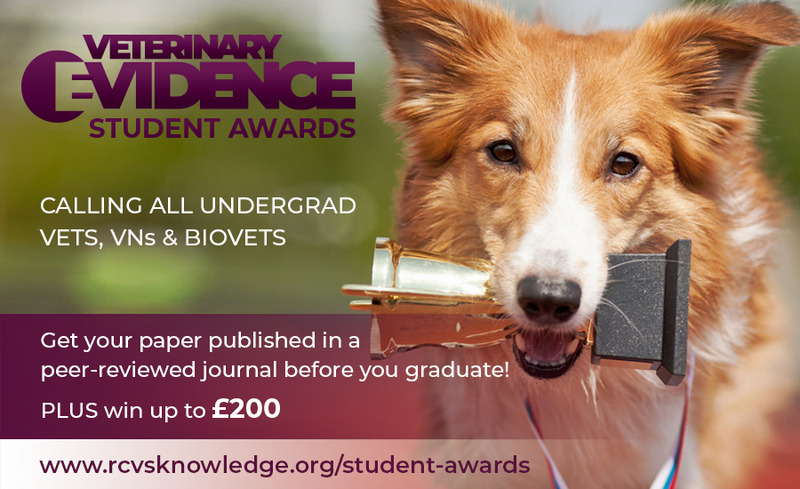 If you’re interested in getting your academic work published in a peer-reviewed veterinary journal before you graduate, why not enter the RCVS Knowledge Veterinary Evidence Student Awards? The competition is open to veterinary nursing, veterinary medicine and veterinary bioscience undergraduates across the county. To enter the competition, you need to write a Knowledge Summary and submit it for publication in Veterinary Evidence. The deadline for submissions is 31st March 2019, and the winners will be announced at the VET19 conference in June. For more information and details about how to enter visit the RCVS Knowledge website.